In 2016, more than 395,000 crashes took place in Florida, and over 254,000 injuries resulted, according to the Florida Dept. of Highway Safety & Motor Vehicles. Most of those accidents involved automobiles. If you are injured due to a motor vehicle accident, you may be able to seek monetary compensation for your injuries and damages. At Zweben Law Group, we have always dedicated ourselves to helping those who have suffered injury or death as a result of another’s negligence, and we represent ONLY injured persons and their families. Our attorneys aggressively pursue the maximum possible financial compensation for medical bills, rehabilitation expenses, pain and suffering, lost wages, and property damage. We accept all injury cases on a contingency basis, meaning you pay nothing unless we recover for you. 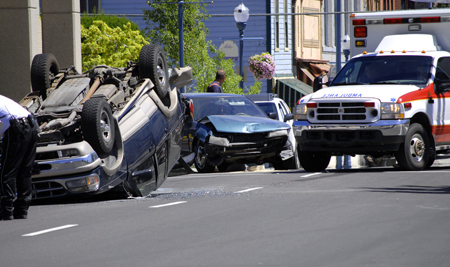 If you have been injured in an automobile accident, call us TODAY for your free, no-obligation legal consultation.